After the Orange revolution, in the field of gallery business, reorganization began: the exhibition areas of new formations opened throughout the country. 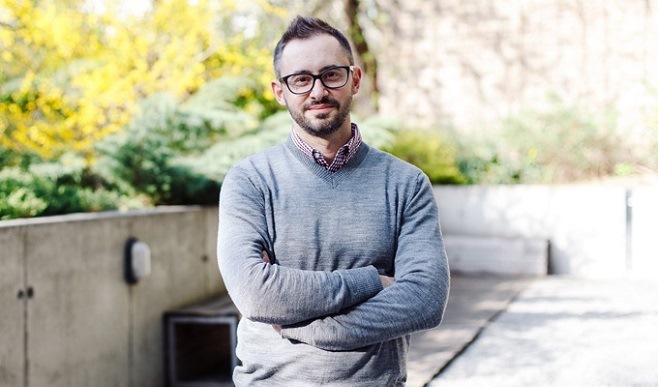 Their agenda is greater now, then that of the national museums or art boutiques, and the grounds offer a maximally understandable form of communication by itself to the audience. New galleries of contemporary art quickly form their own audience, turning the client and visitor into an integral part of the art process. Frequent changes of expositions, arts literature publishing, actions, lectures and evenings with artists contributed to their greater popularity. Each of such areas has its own art policy, development strategy, circle of friends. However, the place of a gallery in the cultural process is precisely determined by the arts quality represented in its walls, the number of events in which it just happened to participate and also by the ability to combine educational and commercial activities. The ArtsLooker editor office offers a short-list of exhibition areas that have appeared on the Kyiv cultural map over the past decade, becoming estimable and powerful players on the native art-stage. The rating was based on the following criteria: exhibition performance activity in Ukraine and abroad, frequency of references in the native and foreign media, territory of art space accommodation and interior, design and convenience of official web-page functionality, and also the numbers of followers and publications activity on the social nets. 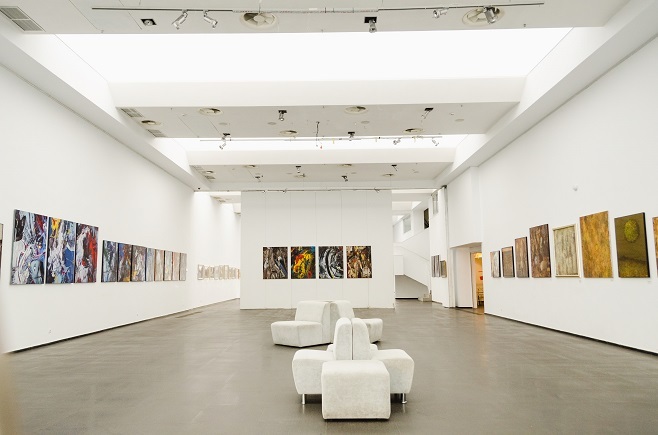 With their opening in 2006, Pinchuk Art Centre became one of the biggest private contemporary art centers in Central and Western Europe at once. It was created by the Ukrainian philanthrope Victor Pinchuk as the main project of his foundation in the cultural sector. 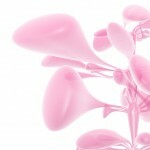 In February 2011 the art center presented the project “Collectors’ platform”, updated twice a year, the permanent exhibition of selected works of outstanding artists working in the field of contemporary art. In 2007 and 2009 Pinchuk Art Centre organized the official Ukrainian pavilion on 52nd і 53rd Venice Biennale, demonstrating the exposure “Poem about an Inland Sea” and «Steppes of Dreamers». In 2011 and 2013 the Victor Pinchuk Foundation presented project «The Future Generation Art Prize@Venice» as part of the official parallel programme of Venice Biennale. Over the 11 years of work more than 70 projects were organized by the efforts of the center, most of which are international. As of 2017 more than 3 000 000 people visited Pinchuk Art Centre. 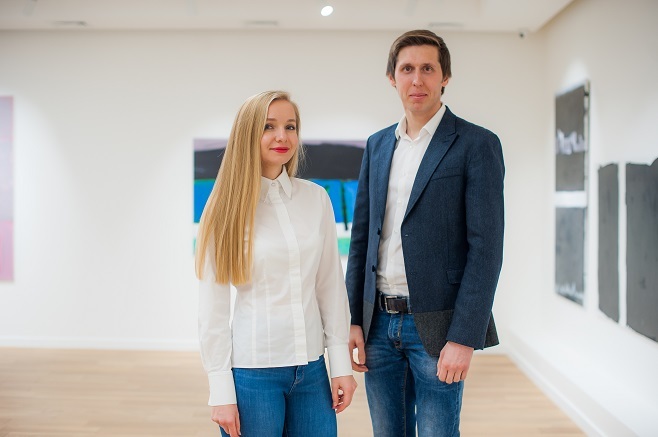 Voloshyn Gallery, which was first called the “Art Collection”, was founded in 2006 by the married couple Julia and Maxim Voloshyn, as a classical art and socialist realism gallery. 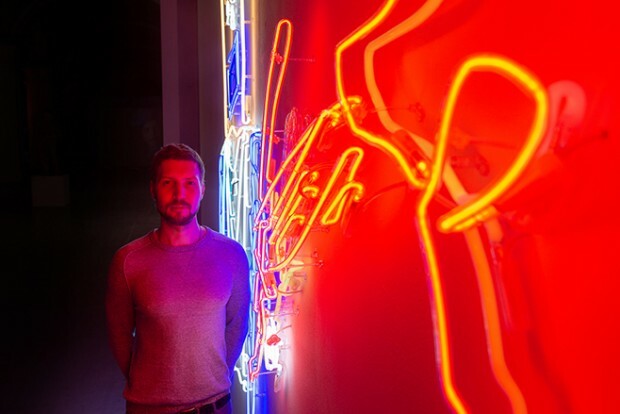 However, since 2010 the vector of work began to change, and in 2016 the gallery fully rebranded, expanding its own exhibition area and opened as a ground, exhibiting Contemporary art compositions. 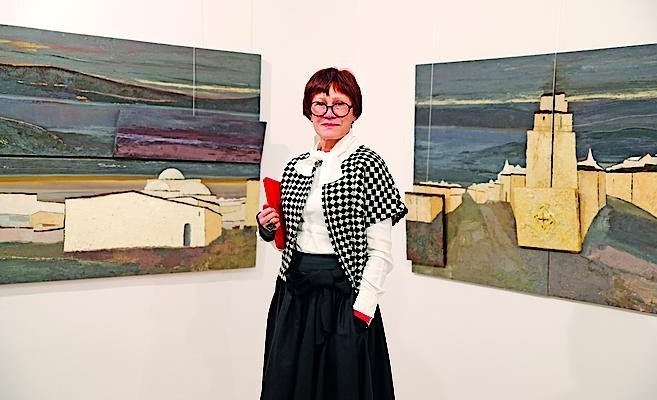 Voloshyn Gallery cooperates with different generations of artists, among them classics such as Vlada Ralko, Volodymyr Budnikov, Oleksandr Roytburd, Anatoliy Kryvolap, Oleksandr Babak, Igor Gusev, and also such young and famous authors, as Myhailo Deyak, Anna Valiyeva, Mariya Sulymenko, Artem Volokitin, Stepan Ryabchenko. The last few years the gallery also performed pilot projects with the participation of young artists. Today the Voloshyn Gallery is one of the most successful galleries in Ukraine, striving to present the works of its artists internationally. 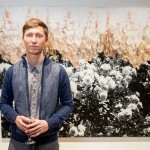 In 2015 the gallery carried out an exhibition “8 Contemporary artists” at the Ukrainian Institute of America in New York, USA, in 2014 showed 16 Ukrainian artists in Vienna, Austria and actively participates in international events such as SCOPE Basel 2017, SCOPE New York 2017, SCOPE Miami 2016, SCOPE Basel 2016, IX ART-KYIV Contemporary 2014, Art Monaco 2012. 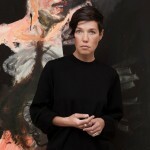 Shcherbenko Art Centre was founded in 2012 by Maryna Shcherbenko based on the Bottega Gallery (2008-2014). The art-space chose their primary mission to build a bridge between art professionals and a wider auditory. In 5 years it gained a reputation of the center for the exposition of recognized artists’ works and the research organization studying the experimental art of young artists. Within the Shcherbenko Art Centre the master-classes, lectures are carried out, and also a competition for young artists «МУХі» is held. Among the most outstanding projects are: «Moved On!», «Paper. Peace. Art» (at the «Knyzhkovii Arsenal» festival), «VYTOKY» (to order of Ukrainian Fashion Week), special project «History in dresses. Our fashion from 1990-s» (to order of Нarper’s Вazaar Ukraine), «Mantru get’!», «Kardynal Richelieu» by Oleksandr Roytburd, «Refrigerator» by Vasyl Bagay, «Monochromy» by Tiberii Silvashi. 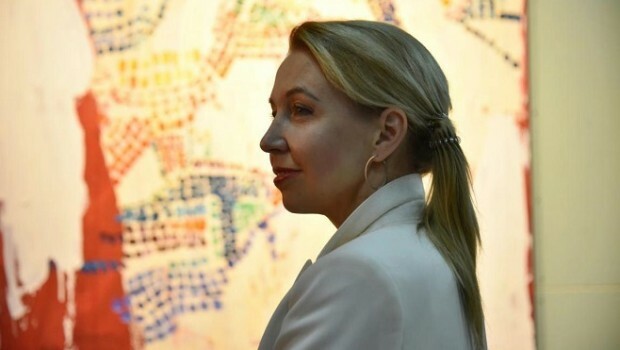 The head of the gallery, which opened its doors in November, 2016, became Natalya Zabolotna, whose name in society is synonymous with the blossom of Ukrainian Dom and Mystetskii Arsenal. The space with a total area of approximately 800 square meters is situated near the Mariyinskii Park. The gallery immediately became one of the most visited in the capital. Its goal is to interest and make demand for art in all social groups. That’s why except for the exhibition and publishing activities, it’s a place for cultural dialogue, educational programs and social initiatives. Permanent expositions are presented on the first floor, which includes works of successful Ukrainian artists: Oleksandr Suholit, Oleksandr Roytburd, Victor Sydorenko, Oleg Tistol, Anatoliy Kryvolap, Roman Minin. The area for presentation of new projects is updated every two months. In the first year Zabolotna presented the personal projects of Stepan Ryabchenko, Vinni Reunov, Arsen Savadov. 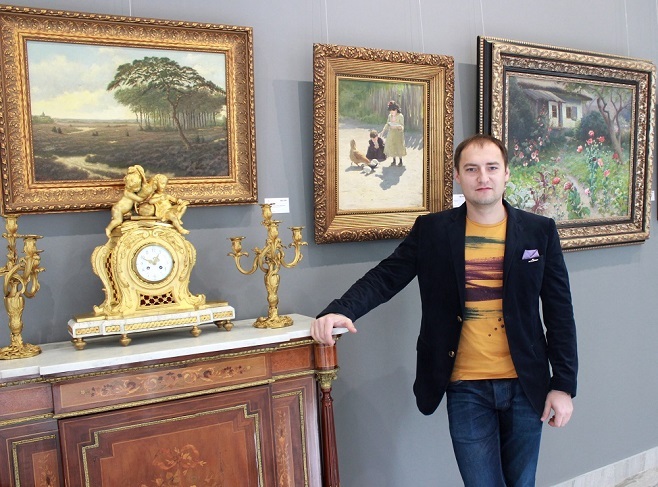 «Ya Gallery Art Center» was opened in the spring of 2007 by curator, musician (“Okean Elzy”) and collector Pavlo Gudimov. 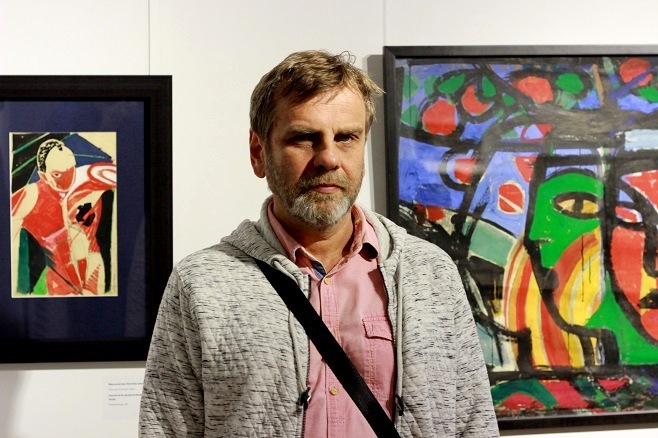 Later with support of collector Pavlo Martynov an affiliate of the center “I am GALLERY” was opened in Dnipro. Popularization of modern art, implementing by the way of carrying out of exhibitions, lectures, conferences and by the way of publishing of their own art books, became the mission of the organization. The art-center founded their own award programme, and also the project-investigation of unexplored territory of urban native Ukrainian art. «I am Gallery» regularly participates in such events as: ART-KYIV Contemporary, fine art fair ART MOSCOW, modern art festival GOGOLFEST and ARTVILNIUS, the Night of Museums in Ukraine and abroad. 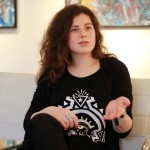 Among the permanent artists of the «I am Gallery» are 63 artists. The most famous are Pavlo Makov, Oleksandr Suholit, Tiberii Silvashi , Vlada Ralko, Anton Logov. «Golden Section» is a new gallery, founded on the base of an auction house carrying the same name, which was established in 2004. The art space specializes in exhibition activities and the sale of neo-classical paintings, avant-garde, nonconformism, underground, object design, photography, and Russian orthodox icons. Herewith the center delivers presentations, antiquarian and topic exhibitions and auctions. Working in two directions (as an auction house and art gallery), «Golden ratio» achieves a complex result, which allows it to carry out approximately 4 auctions and 4 topic exhibitions every year. The best known projects of 2017 are “Graphics of the Ukrainian artists of 1950-80-s” and “Ukrainian underground”. 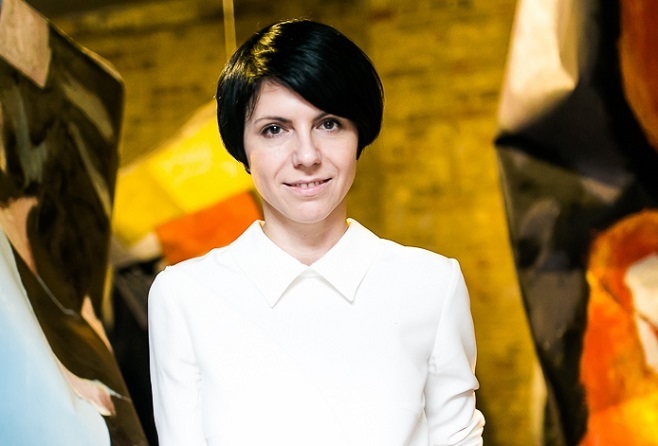 The Kyiv gallery «Triptych Art» was founded on the base of the first private Ukrainian gallery, opened in 1988, supervised by the gallerist Tanya Savchenko from 1999. At that time it existed on Andrew’s Descent under the name “Triptych”, and later opened its doors under the name «Triptych Art» on the Desyatynna Street. The gallery earned its reputation in the art-space and the circle of fans during 25 years of seminal work. Sincerity in choosing of authors and works of art remains the basic principle of the space’s work. You can find here the best names of Ukrainian art-space, the history of modern art would be incomplete without them, presentied in the gallery. 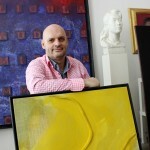 «Triptych ART» forms the private and corporate collections. The exhibition area, created in 2015 on the base of an auction house of the same name, the founder of which became Leonid Komskii (2009). 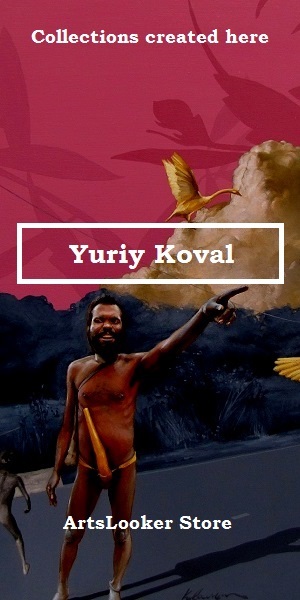 The competence of «Dukat» is a non-official postwar and сontemporary art. The area combines a gallery and educational activities. 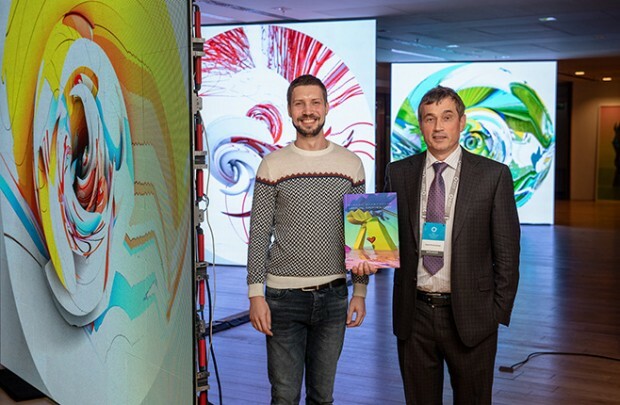 The established Education platform is conducive to the popularization of Ukrainian art by the way of carrying out lectures, professional discussions and meet-the-artist events. The primary mission of the organization is giving the opportunity to the visitor to participate directly in the art-process. 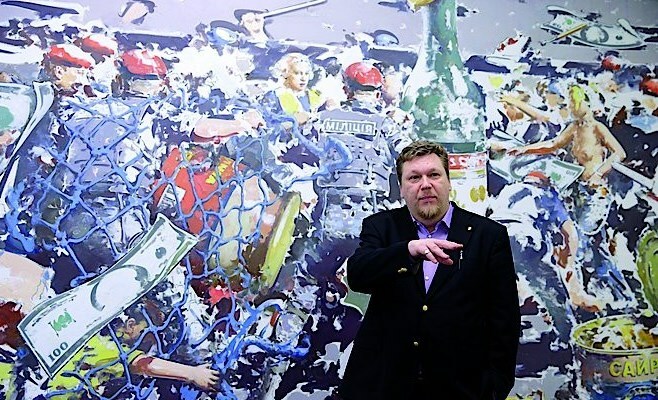 Except for the auctions, «Dukat» organizes artistic actions, film shows, fairs, exhibitions, among which personal projects of Oleksandr Roytburd, Matvii Vaysberg, Yuriy Pikul, Vladyslav Shereshevskii can be found. 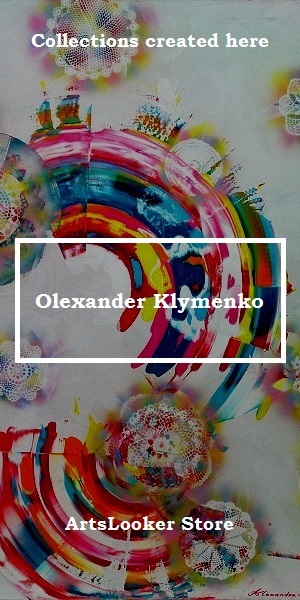 Dymchuk Gallery was created in 2008 by Ukrainian cultural figure and collector Anatoliy Dymchuk. 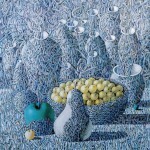 It has the modern Ukrainian art, transavantgarde, Odessan conceptual art and nonconformism among its interests. For today Dymchuk Gallery is one of the few galleries, carrying the intense international activity, participating in fairs, fora and biennale, among which: KUNSTART 2009 (Bolzano), ART KYIV Сontemporary 2009, 2010, 2011, 2012 (Kyiv), the First Kyiv International Biennale of Contemporary Art (Kyiv), Berliner Liste 2013 (Berlin), VOLTA 10 (Basel), KOLNER LISTE 2015 (Cologne). Popularization of modern Ukrainian art abroad and creation of demand for it among the European collectors is the goal of the space. The space is known by the personal exhibitions of classics: Oleksandr Roytburd, Oleg Tistol, Illya Chichkan, Mykola Matsenko, Igor Gusev. In only 3 years Dymchuk Gallery realized more then 40 projects, most of which are internationally recognized. 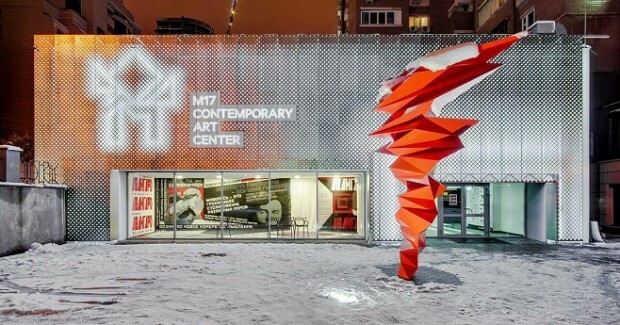 The Center of Contemporary Art M17 was opened in the summer of 2010 for support of modern Ukrainian art. 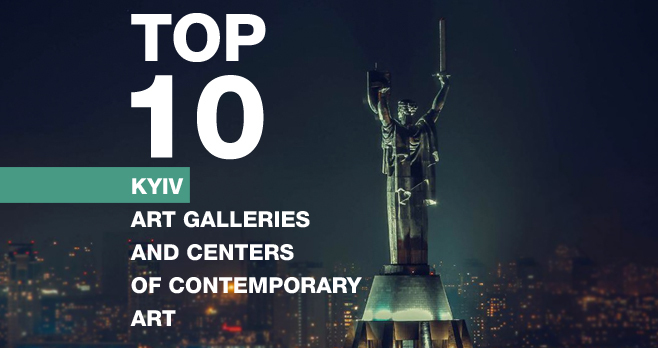 It quickly became one of the most popular Kyiv exhibition grounds, which regular carries out the personal, group, curatorial projects, educational programs, film shows, lectures and master-classes. For today М17 strives to become the epicenter of the events of the capital cultural life. The art-space coordinates with foreign artists and organizations, and also with the Austrian cultural forum and the embassies of France and Georgia. 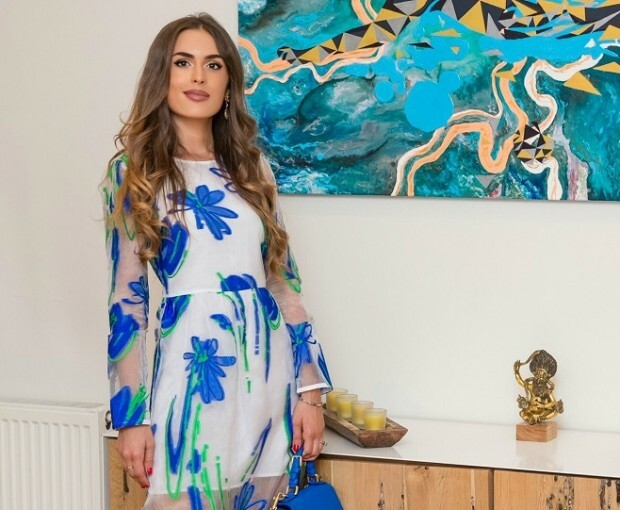 The art boutique “Art in interior” has been a major highlight, as the famous galleries and artists from Ukraine, France and Netherlands presented elegant works, which could be purchased. 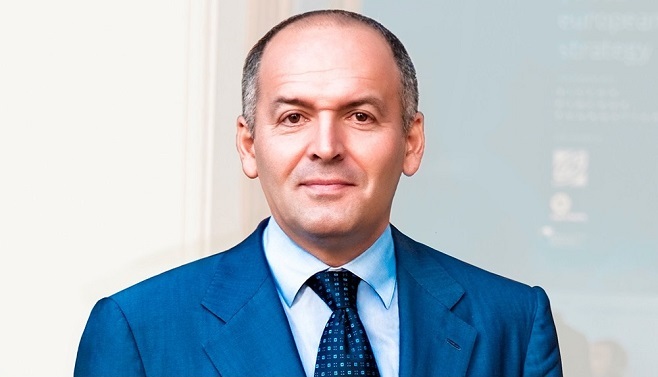 The artists with exclusive conditions in the center: Mykola Peremyshlev, Anatolii Galytskii, Oleg Pinchuk, Bogdan Tomashevskii. Best known projects for the last year are the personal exhibitions of Ivan Marchuk «Music on the canvas» and Zinaida Lihacheva «White tears».